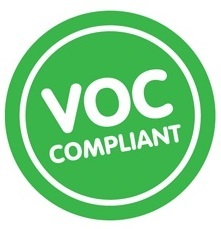 With manufacturing plants in Gauteng, the Western Cape, Kwazulu Natal and Namibia, we are also able to minimize our carbon footprint by delivering directly from these facilities.In keeping with TAL’s commitment not only to the building industry, but also tothe future of our country and the environment, we have successfully endeavoured to keep the VOC content of our cementitious tile adhesives and grout within the limits stipulated by the Green Building Council of South Africa. Cementitious tile adhesives are comprised mainly of ordinary Portland cement and other inorganic minerals, such as silica, calcite and/or dolomite. These are inorganic in nature and comprise 90 - 99% of the cementitious tile adhesive. There are no organic emissions from these components. The fraction which may contribute organic emissions generally comprises 1 - 6% of polymer powders which are organic in nature. All TAL cementitious tile adhesives tested to date are well below the limit of 65g/L stipulated by the Green Building Council of South Africa, of which TAL is a member. 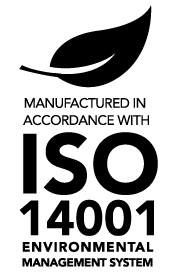 TAL is the first manufacture in the tiling installation materials industry to gain full ISO 14001 certification in South Africa. The ISO 14001 system involves the development of various environmental programmes, including; waste stream registers, procedures, legal applications and various others to aid TAL in maintaining and improving its environmental performance. We are committed to taking care of our environment and we continue to work to reduce our carbon footprint and reduce waste to landfill, by adopting better recycling methods on all waste streams.